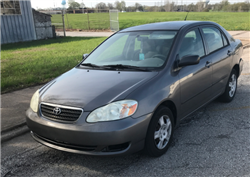 Cash for Cars in Missouri - We Buy Cars Fast! Selling your car is never fun. You have better odds catching a fly ball from a St. Louis Cardinals hitter than finding the right buyer for your car in Missouri. You’ll have to meet with strangers, and then your phone will get swamped with text messages and calls. Most buyers will try to undercut you and haggle down your price. You need a buyer that can deliver a fair cash offer, and one that works quickly. Here at CarBrain, we have turned the tedious task of selling your car into a quick and easy experience. We can buy your car in most parts of Missouri. Our proprietary system will give an offer on most cars in just 90 seconds! And if you like our offer, we can deliver the payment and pick up your vehicle in only 24 to 48 hours! CarBrain works with top-tier tow providers to ensure that we can pick up your car in a timely manner. With service throughout most of Missouri, we can pick up your car near St. Louis, Kansas, Springfield, and many other areas of the state. 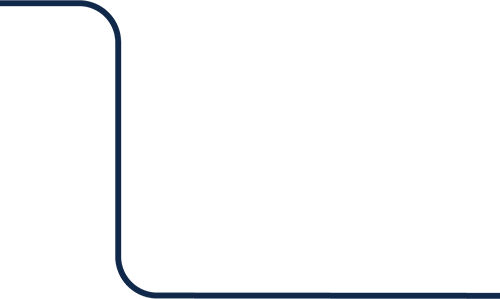 We’ve used our 30 years of experience in the car business to create the smart way to sell your car. We’ve developed a cutting-edge price engine just for you. Through an easy and guided step-by-step process, our CarBrain system can make you an offer today. 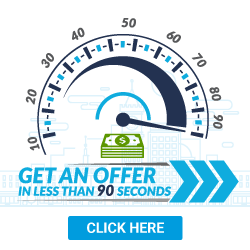 Most vehicles receive an offer in just 90 seconds! To get started, click here. 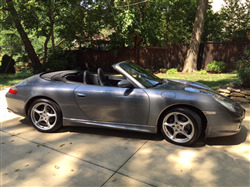 Where Can I Sell My Car in Missouri? Selling a car is a tougher job than you’d expect. It can take weeks or months before you find the right buyer. And if your car is damaged, it could take even longer. Few buyers want to buy a damaged car. They know these cars can cost you tons of money on repairs. And if you’ve thought about repairing your damaged car, then think again. Most shops won't give an estimate unless they have the car present. If your car isn't in driving condition then it could cost you hundreds of dollars in towing. You will never know what the final cost of the repair is going to be until they start working and take apart the car. By that time you’ll be elbows deep into an repair you thought was affordable. Dealers typically don't buy cars with damage. But whenever they do buy a car from you, they expect you to buy one in return. This is where you have to be careful. Dealers are known to be ‘magicians’ with the numbers. Whatever extra money you think you're getting for the trade-in is just tacked on somewhere else in the deal. Do you enjoy receiving calls and texts from strangers? If not, then you probably want to avoid dealing with private buyers. Besides constantly calling your phone at the most inconvenient times, private buyers will also waste your time with back and forth haggling. No matter how low your asking price may be, they will always try to get an even better deal. Here at CarBrain, we know how important it is for you to sell your car. We know the longer that you hold on to it, the more it will depreciate. And that's why we’ve created the smart way to sell your car. We have a dedicated team of buyers with over 30 years of experience ready to help you right now. Through our quick and easy step-by-step process, our interactive CarBrain system can make an offer on most makes and models in just 90 seconds! If you agree to our offer, we can pick up in just 24 to 48 hours, and tow your car for FREE! What Vehicles Do You Purchase in Missouri? Big trucks, fast sports cars, and exotic luxury cars - they're all beautiful machines in their own way. But when it comes down to selling them, not every buyer is interested. Typically, buyers stick to what they know. Some only buy collision-damaged vehicles while some only buy cars with mechanical issues. 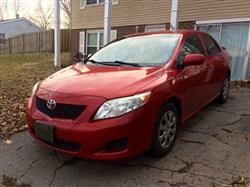 Other buyers only buy cars with clean titles and no accident history. CarBrain is here to help you sell your car. We can buy your car even if it has collision damage! We can buy your car with mechanical issues, damage from a storm or flood, even theft and vandalism, We’ve developed an interactive pricing system designed to get you a fair cash offer for your car. With service throughout most of Missouri, we’re prepared to make you an offer and pick up your car in just 24 to 48 hours. We can tow your car for FREE! 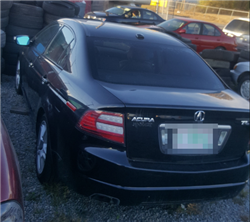 Trucks, work vans, SUVs, sedans, coupes, and much more - we buy cars of all shapes and sizes. 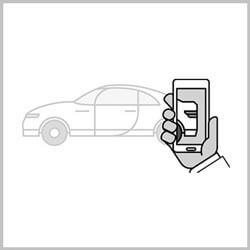 Our guided, simple process can get you an offer for most makes and models in 90 seconds! If you’re tired of sitting around and you’re ready to sell that car, then don't wait. Our process is quick and easy. Simply click here to submit your vehicle and get started today. Selling a car should be all about speed. Whether you have a clean-titled or damaged car, selling it fast means you get quick cash. Unfortunately, the majority of the buyers don't act fast. They don't do anything to make this task more convenient for you. They will make you invest your hard-earned money into a car that's not worth it. That’s just so they can give you a lowball offer at the end of it all. If you’re tired of wasting your time waiting around for the right buyer or you're done playing negotiation games, then CarBrain is for you. We know all the tricks the competition uses and we’re proud to say that we're the smart way to sell your car. We won't waste your time with back and forth negotiations. 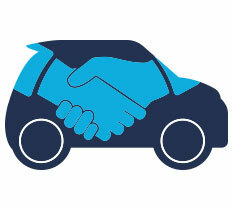 Our CarBrain system can make an offer on most vehicles in just 90 seconds. We will pick up your car from wherever it’s parked. At your home, the office, the dealership’s service department, the towing compound, or even a friend’s or family member’s house. With tow partners all across Missouri, we can pick up your car near St. Louis, Columbia, Ozark, Jefferson city, and many other areas! Once you agree to our offer, we can have the payment delivered and your car picked up for FREE in just 24 to 48 hours! Sell us your car today! Simply click here to get started. If you’re done spending your days answering calls and texts from strangers, meeting with them, and negotiating over a fair price, then CarBrain is here to help! We’ll give you a fair cash offer. On most makes and models, it only takes 90 seconds. Don't wait around for that other buyer to show up. Submit your vehicle today for an offer. Just click here. We will tow your vehicle for free to any of our Missouri locations.